Did you know there are lots of doggies and kitties that don’t have homes? Today, December 28, let’s go to the store and buy some supplies to take to the animal shelter. The animals with no homes will be so happy! 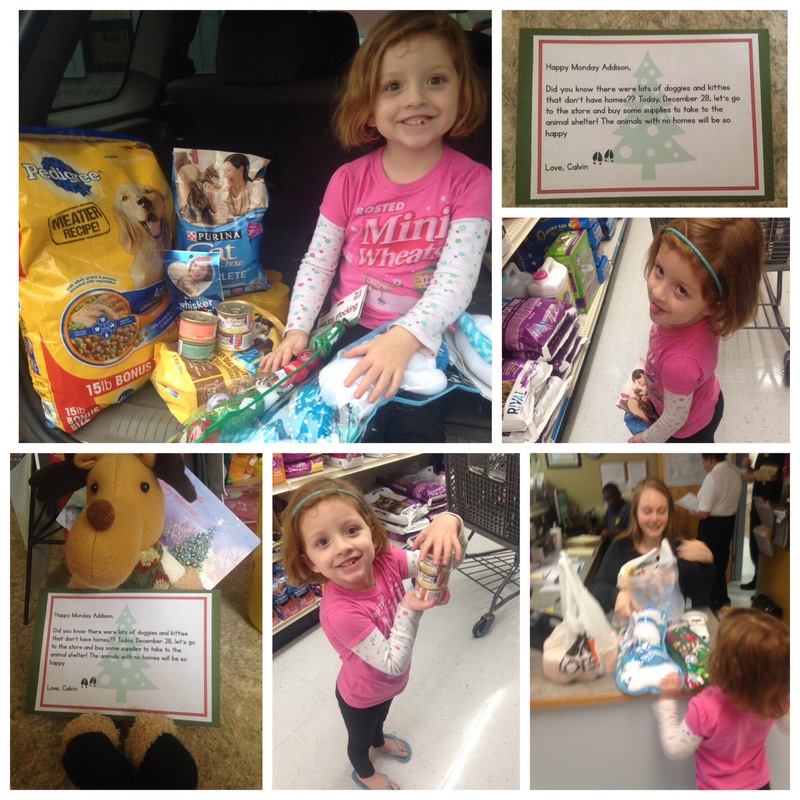 She absolutely loved picking out food and toys for the animals! She loved going to see the animals in the shelter even more! The workers at the shelter were so grateful for our donation and pleased with Addison’s giving spirit.